Spanish MPs vetoed an appeal by the country’s northern region of Catalonia to hold general referendums. 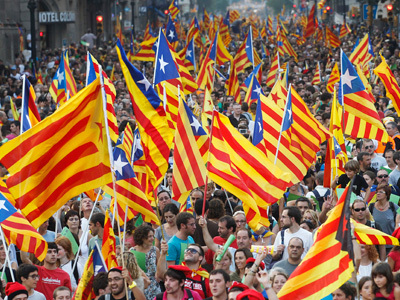 The move squashes Catalonia’s ambition to hold a legal referendum on independence. ­The Catalan ERC party proposed that Madrid allow Catalonia hold general referendums – an exclusive power of the central authorities. The motion was voted down with 276 against, 42 for and no abstentions. The ruling conservative party (PP), which holds an absolute majority in the House of Representatives, accused the Catalans of trying to sneak through a “covert constitutional amendment" endangering national sovereignty. Less than two weeks ago, the Catalan regional parliament upheld a motion to stage “public consultations” on the region’s future. 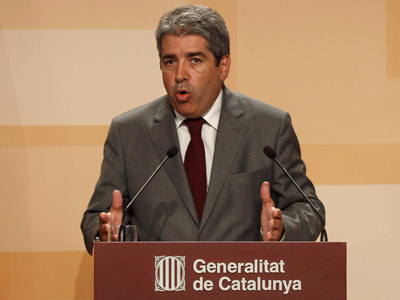 The term “referendum” had to be omitted, since this would contradict the Catalan constitution, but local authorities admitted that the “consultations” would essentially be a referendum. The Catalan vote was instantly slammed by the central government, which pledged to halt any “illegal” referendums. But Catalan leaders said they would go on preparing for their “consultations” regardless of Madrid’s position. The referendum is likely to follow snap regional parliamentary elections set for November 25, which are coming two years ahead of schedule. The Tuesday veto comes as the latest move in a standoff between Catalonia, responsible for one-fifth of the country's economic output, and Madrid. The federalism moods in Catalonia have been on the rise since the country’s economy was swept by the global recession which started in 2008. Many Catalans complain that they regularly pump money into the central government’s coffers but receive little in return. 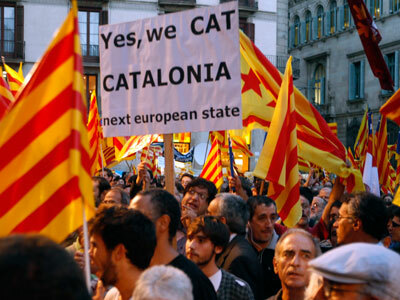 Their anger stems from the fact that Catalans regularly pay $15-20 billion more in tax revenues than they receive in social spending and investment in infrastructure. This imbalance cast the northern region into heavy debt, and the local government asked Madrid for $6.2 billion in no-strings-attached financial assistance. 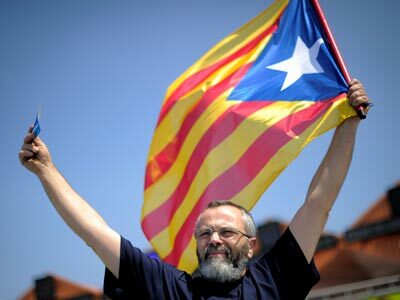 Prime Minister Mariano Rajoy flatly turned down the calls, as well a proposal to create a separate Catalan tax agency. Hundreds of non-binding referendums have been held throughout Catalonia over the last three years. 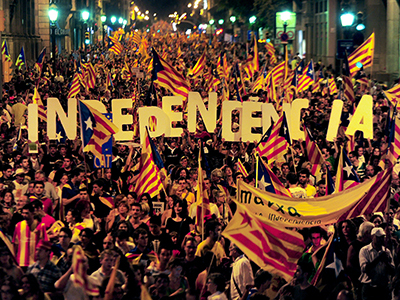 Most voters expressed a preference for greater autonomy instead of outright independence. 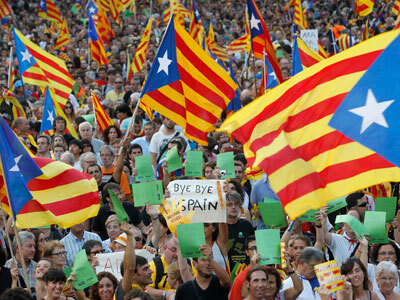 A massive 1.5 million-strong pro-independence march on September 11 revealed that popular sentiment was shifting towards a split from Spain, with the region roughly divided on the question of secession.